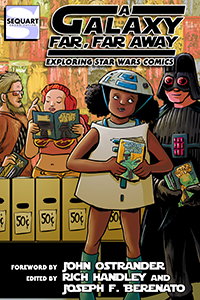 Coinciding with this week’s release of Star Wars: The Last Jedi, Sequart is celebrating its fifth annual Sci-Fi Week! 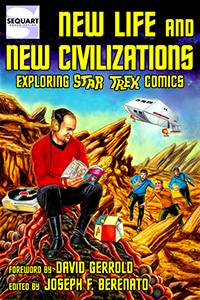 All this week, we’ll be running content focusing on sci-fi comics and popular culture. 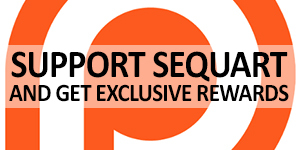 Sequart ran its first Sci-Fi Week in May 2013, timed to the release of Star Trek into Darkness. Our second Sci-Fi Week ran in November 2014, timed to the release of Interstellar. 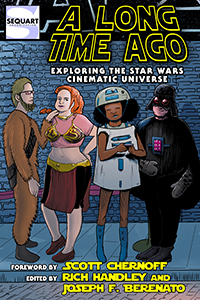 Our third Sci-Fi Week ran in December 2015, timed to the release of Star Wars: The Force Awakens. Our fourth Sci-Fi Week ran in December 2016, timed to the release of Rogue One: A Star Wars Story. 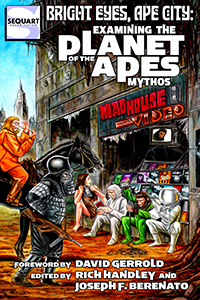 Sequart’s love of science fiction extends to its book division. 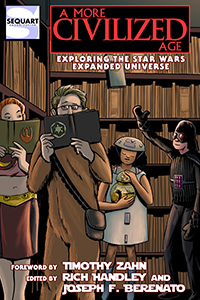 We just published a book on the Star Wars expanded universe. 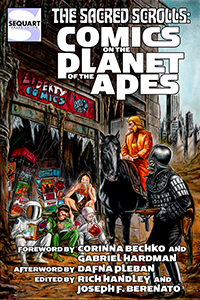 We’ve also published books on Star Wars comics; on Star Wars movies and TV shows; on Star Trek comics; on Planet of the Apes comics; on Planet of the Apes comics, TV, and novels; and on Jack Kirby’s 2001 comics! We’ve also announced a book on Blade Runner, with more to come. Tagged Sci-Fi Week 5, science fiction. Bookmark the permalink. Deep Space Nine and Babylon 5: Remarkably Similar — Or Similarly Remarkable?